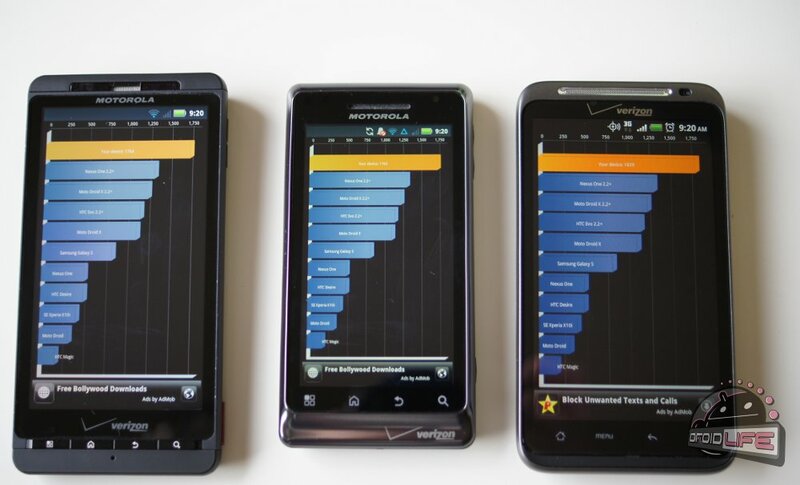 I know, I know, benchmarks (especially) Quadrant are inconsistent, can be faked or bloated and aren’t a great tool to compare phones, right? I’ve heard the arguments, but at least these give us something. 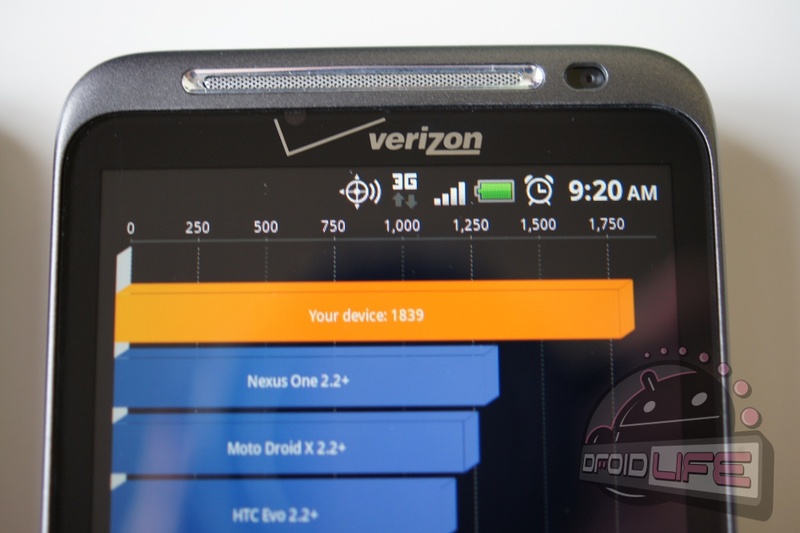 So we took both the DROIDX and DROID2, slapped the leaked Gingerbread on both and then compared them to the HTC Thunderbolt running Android 2.2 with Sense. The results are about what we figured since the Thunderbolt has slightly different and newer hardware, but Android 2.3 really seems to have given the DX and D2 a nice boost.